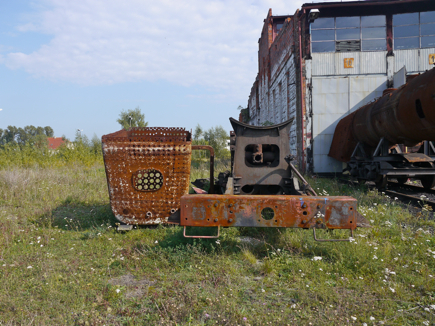 BTWT likes railway heritage success stories ‘over the border’, because we believe that gradually there will be a ‘drip feed’ effect on railway preservation practice in Poland. So we were delighted to read on the Slowak railway portal – http://www.railtrains – about the successful test run of furnace fuel oil burner 555-3008. 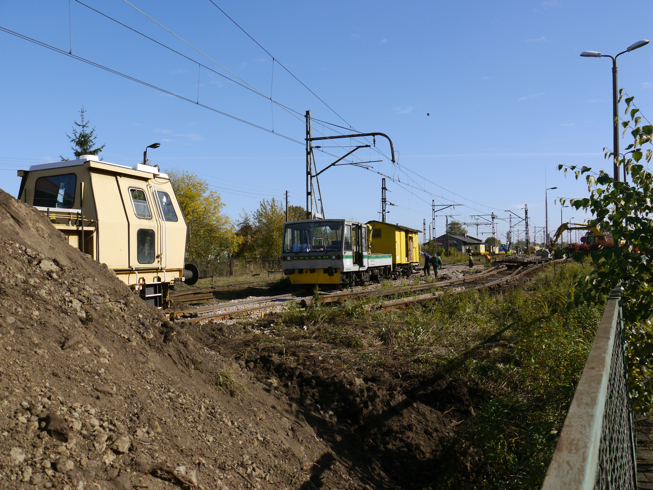 Reconstruction of the ‘kriegslok’ began in autumn 1999 by the Club of Friends of Railway History – Bratislava East. 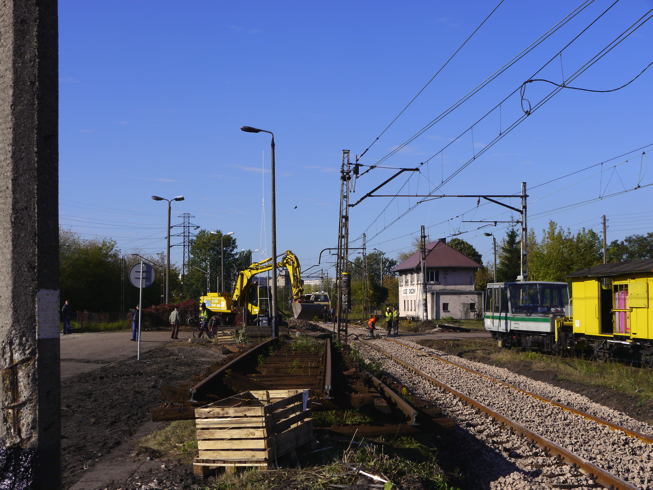 The work was officially completed on 30 October 2011 when the locomotive passed its technical and safety tests, which took place on the Bratislava Vajnory – Galanta section of line 130. 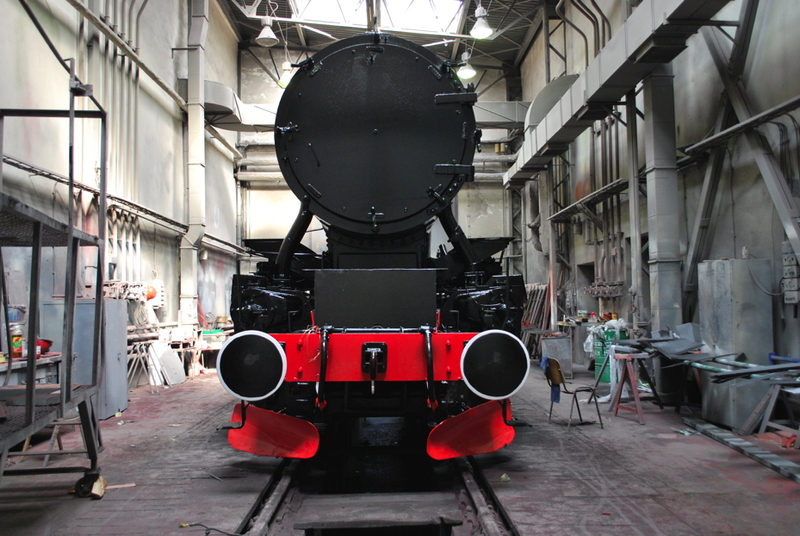 The engine is now certified to run on the ZSR mainlines and is no longer confined to the tracks of Bratislava MPD. During its run, 555-3008 achieved a speed of 80 km/h on the Seneca – Sládkovičovo section. of TBS-ka. A fire extinguisher train was in attendance, but as the engine uses heavy residue oil as fuel, it is unlikely likely that this precaution will be needed in the future. Some wonderful photos from the test run by Bocco, XxXcompany, Eminem, Volod appear on the railtrans.sk portal. We congratulate all the members of the Club of Friends of Railway History – Bratislava East involved in the restoration and hope that 555-3008 will be hauling trains for many years to come. 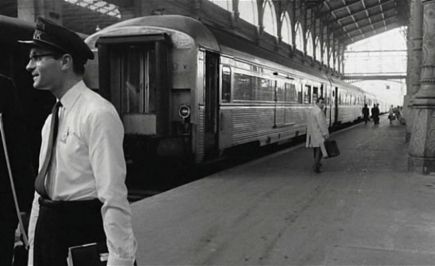 A clip from Alain Robbe-Grillet’s Trans Europe Express. It had a good run, but all good things must come to an end, and so it is time to draw the curtain on BTWT’s first ever film competition. Gavin Whitelaw and Mike Winslow steadfastly battled for lead position. But at the end, nobody identified our tie-breaker, Trans Europe Express, and so Dyspozytor takes the point. The final score is now: Dyspozytor 5 points, Gavin Whitelaw 4 points, Mike Winslow 3 points and Alex Fitch 1 point. Gavin, Mike and Alex are invited to share a bottle of Zubrowka with Dyspozytor next time they come to Poland. 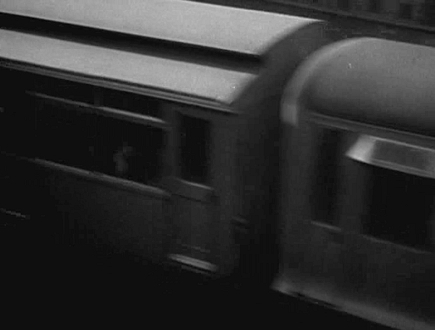 Trans Europe Express has some great shots of the Paris Metro just before all the Sprague coaches were withdrawn. It is also a valuable documentary record of the luxury travel that was available on the former TEE network. There a good review of the film on the IMDb. See the link below. We would like to thank everybody who took part in the competition; there was a record number of entries and we hope that all our readers enjoyed it. If you have any ideas for our next competition, or just want to drop us a line, you can do by e-mailing us at the following address: railfan [at] go2 [dot] pl. Obtain the address by removing all the spaces and converting “at” and “dot” to the usual symbols. 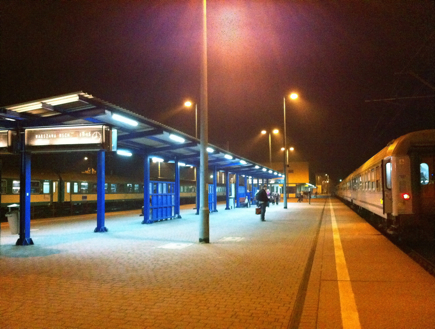 …will connect Wroclaw to Barking! 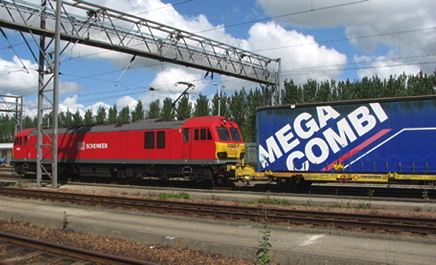 DB Schenker Class 92 and European loading gauge curtain swap body on container wagon during trials on HS1 in May 2011. Photo DB Schenker. 17 years after the Channel Tunnel opened, and 4 years after the Channel Tunnel Rail Link (now known as HS1) was commissioned, regular European loading gauge freight trains will start running into London. 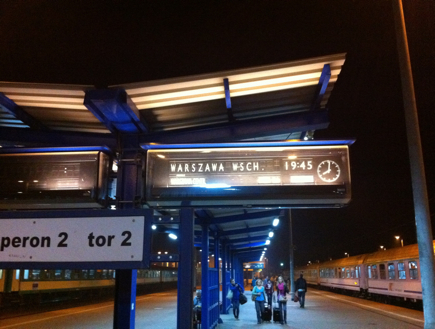 A weekly service will operate between Wroclaw and Barking. The train will be loaded with European-sized curtain sided swap bodies. Having an internal height of three meters, they allow two standard pallets to be stacked on top of each other. The first train will depart from Wroclaw on the evening of 08 November arriving in Barking in the early hours of 11 November. The train will leave the UK the same day to transport goods to Poland on the return journey. The service will be the first regular rail freight service to use HS1, the only European loading gauge railway in the UK. Because of lack of long-term commitment to rail by the then Ministry of Transport the the Great Central main line from London to Manchester – was closed in stages between 1966 and 1969. The line, built by Edward Watkin at the end of the 19th century, was intended to be part of a continental-loading line linking Manchester, Nottingham and Leicester with the railway network of continental Europe. Alain Thauvette, Chief Executive of DB Schenker Rail UK, said: Strong European rail freight trading links are essential for economic development and to encourage modal shift from road to rail. The introduction of this new rail freight service between Poland and the UK will be the first of a number of such trains, which utilise the DB Schenker Rail pan European network. This is an important step for rail freight in Europe, as a new market has been developed and a new trading route opened. BTWT congratulate DB Schenker on achieving this historic milestone. Now if only Deutsche Bahn could be persuaded to run passenger trains between Poland and the UK! HS1 tracks burrow into the ground for the last leg into St Pancras; continental-gauge freight tracks continue overground to the Barking Freight Terminal. The magician starts his journey home from Edinburgh Waverley station. 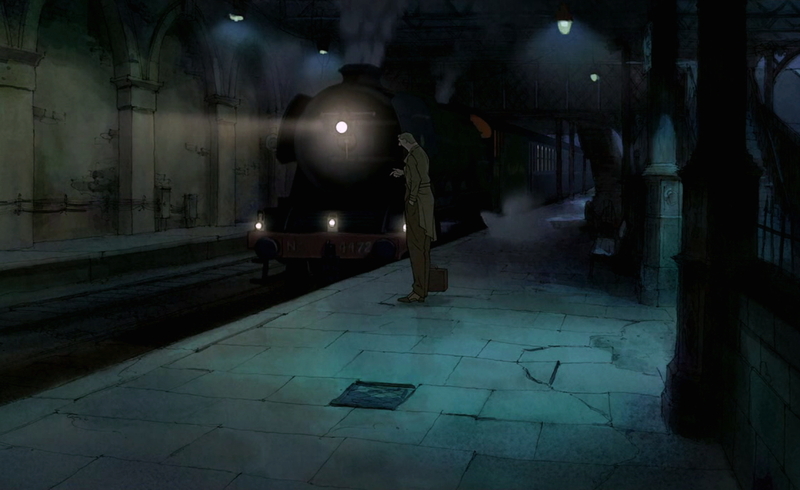 Still from Sylvain Chomet’s L’illusionniste. Consternation reigned in the BTWT tower when it became clear that there is no overall winner in our film competition. Much to our astonishment nobody identified our last mystery film as Sylvain Chomet’s L’illusionniste. This, the last appearance of Jacques Tati’s slightly jejune gentleman character (Mr Hulot’s Holiday, Traffic) albeit, albeit faithfully recreated in animated form, is a wonderful evocation of Britain about to be changed forever by the ‘swinging sixties’. There are many scenes of railway interest and Edinburgh never looked so attractive. 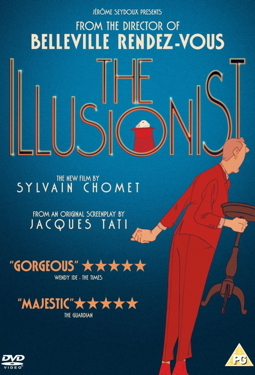 Amazon currently have L’illusionniste available on DVD for £5.37. If you buy through our link below, a small contribution will be paid by Amazon to us. A clip from our tie breaker. With no one identifying L’illusionniste, Dyspozytor has notched up another point. The score is now: Gavin Whitelaw and Dyspozytor are in joint first place with 4 points; Mike Winslow is second with 3 points and Alex Fitch is third with 1 point. Since splitting a bottle of Zubrowka in two might be a tad difficult [We could always meet up and drink it together! D.] our competition board have decided to hold a tie-breaker. 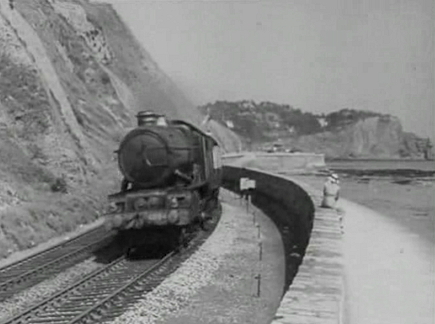 Today’s film has a great deal of railway interest, but is probably better known by cineastes than rail fans. Christmas 2008 at Wenigerode on the Harzquerbahn. Photo John Schøler Nielsen. John Schøler Nielsen has sent us some glorious night photographs. As well as his picture of Lodz Fabryczna which we have already published, he has sent us some great photos of the Lodz tramways which we look forward to publishing along with a future article on the tramways there. 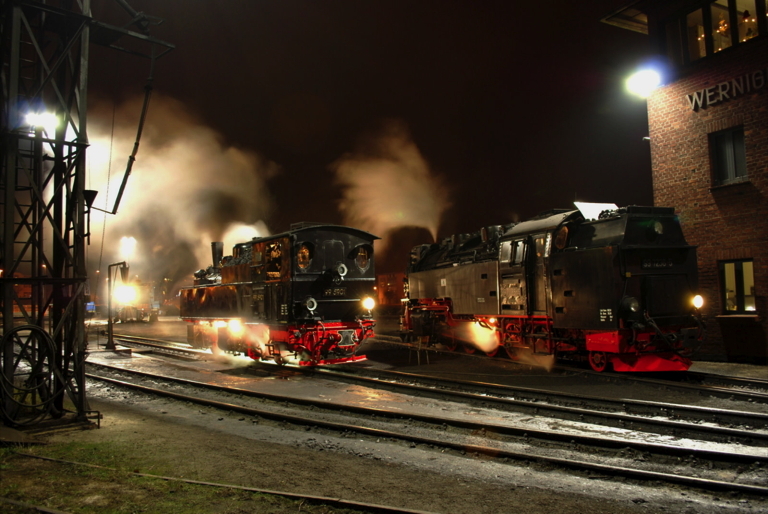 He also has also promised to send us some night railway photos of which this photograph of the Harzquerbahn is just a taster of the good things to come. Ty2-5680 undergoes restoration at the DB Schenker Rail Polska workshops in Rybnik. Photo DB Schenker Rail Polska. BTWT has already documented the dramatic story how Ty-5680 was transformed from an unwanted piece of scrap metal to a prestigious industrial monument taking pride of place outside the DB Schenker Rail Polska HQ in Zabrze. Now thanks to the assistance of DB Schenker, who kindly supplied these pictures, we can reveal that not only was the appearance of ‘Cinders’ transformed, but she did get to go to the ball! Pani Malgorzata Manka-Szulik, the Mayor of Zabrze and Hans-Georg Werner, the chairman of DB Schenker Rail Polska sign the cooperation agreement. Photo DB Schenker Rail Polska. 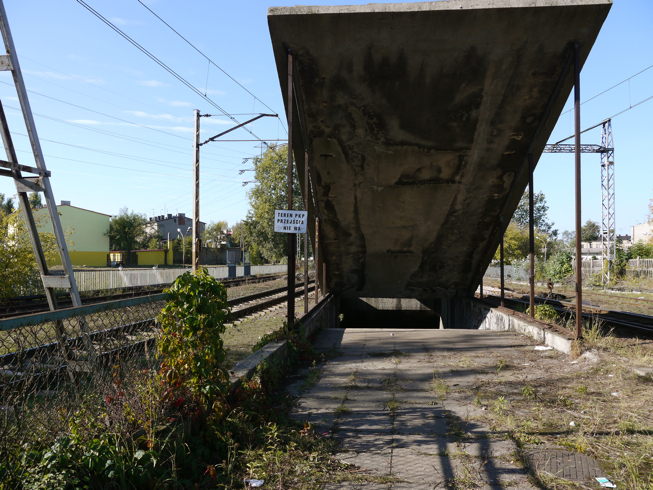 Zabrze already has an industrial heritage tourist trail. Attractions include the largest operational steam winding engine in Poland and two tourist coal mines: Krolowa Luiza and Guido. 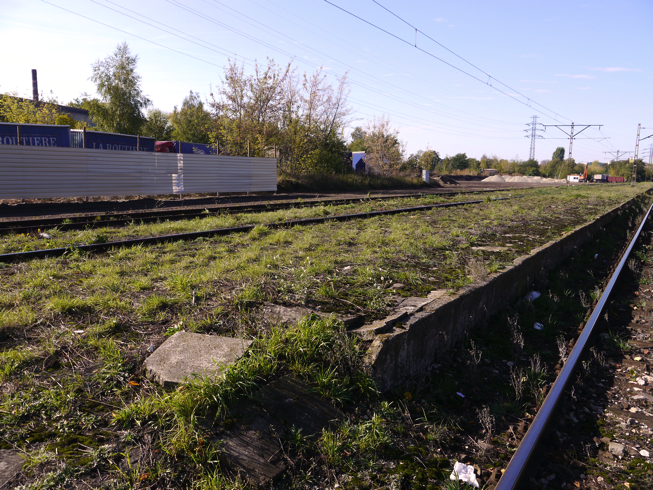 The City Council is keen to develop the heritage trail further and approached DB Schenker Rail Polska to ask whether new restored Ty2-5680 could be added to the list of trail attractions. Ty2-5680 after its restoration outside the DB Schenker Rail Polska HQ in Zabrze. Photo DB Schenker Rail Polska. DB Schenker Rail Polska responded positively and on 17 October Malgorzata Manka-Szulik, the Mayor of Zabrze and Hans-Georg Werner, the chairman of DB Schenker Rail Polska, signed a cooperation agreement. 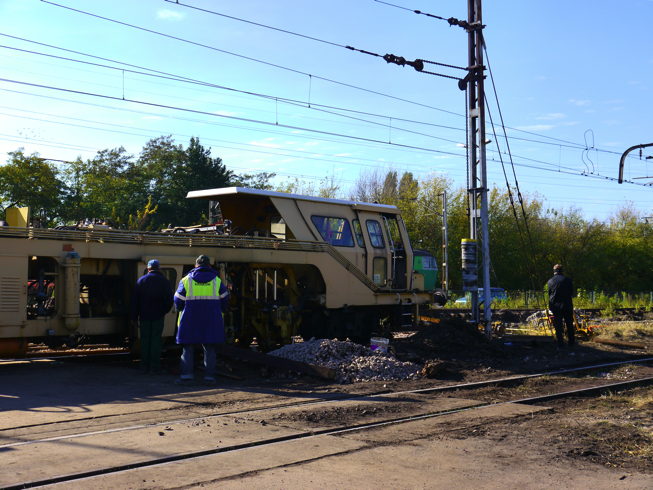 As a result Ty2-5680 has been be added to the list of industrial heritage attractions in Zabrze and, from November, may be visited by members of the public. If railfans work together the resultant ‘lobby’ can work miracles! The importance of industrial heritage is gradually being recognised. Preserving industrial heritage is good for a company’s image. 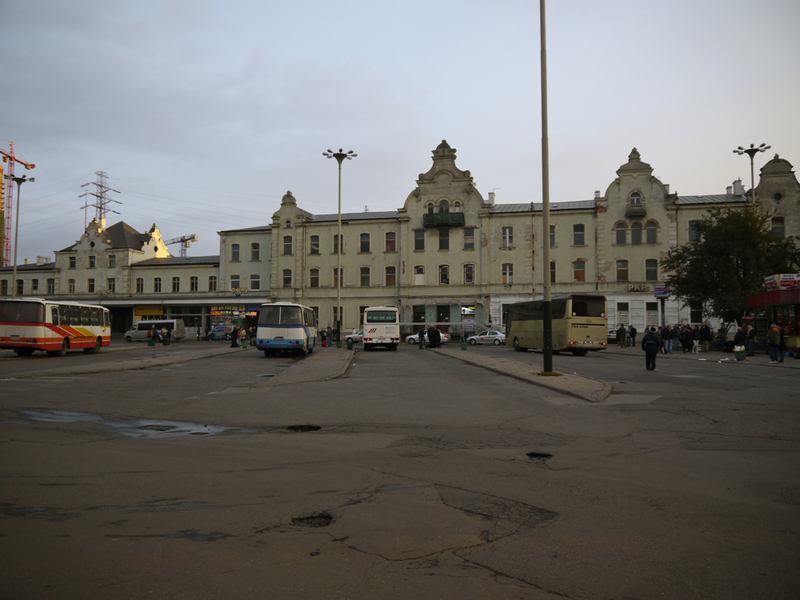 These photographs were taken on Sunday 16 October 2011, prior to Lodz Chojny station reopening the next day. Frantic work had been going on here for the last two weeks. New sign on the approach road. Pity about the lampost. Photo BTWT. 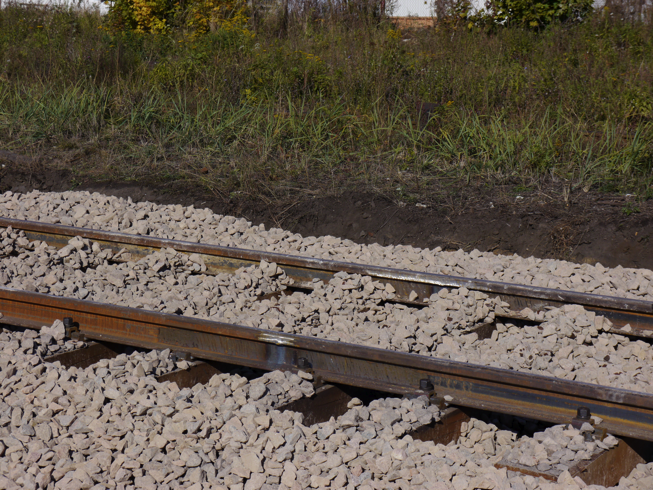 Ballast tamping in progress on the eastbound track. Photo BTWT. The work seen from the other side of the tracks. Photo BTWT. The approach road level crossing and westbound track. Photo BTWT. Relaid platform edge and westbound track. Photo BTWT. The island platforms have not been restored. Photo BTWT. The station building has been restored. Photo BTWT. The eastbound track needs urgent attention. Photo BTWT. Still shiny newly ground welded rail joints. Photo BTWT. Ready for trains – the westbound track and platform. Photo BTWT. The trees at the eastern end have been retained. Photo BTWT. Three PKP Cargo SM42 diesels head West. Photo BTWT. The steps to ul. Rgowska have not been reopened. Photo BTWT. Rail route diagram of the Lodz area. 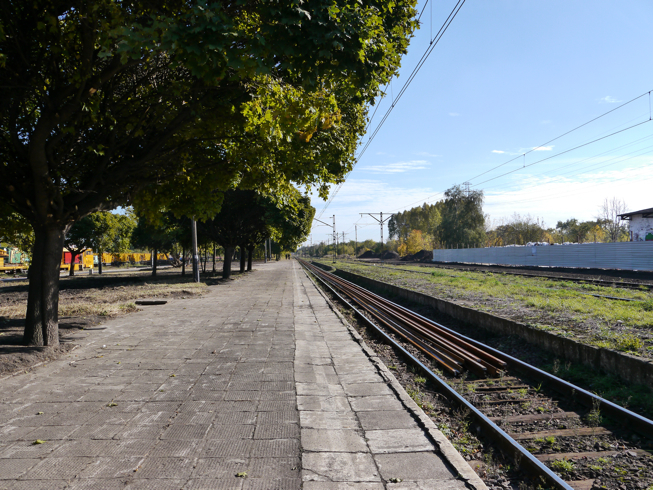 Following the closure of Lodz Fabryczna station, some rail services in the Lodz area have been re-routed. Trains from Warsaw to Ostrow Wielkopolski and Wroclaw run via Lowicz Przedmiescie, Zgierz and Lodz Zabieniec to Lodz Kaliska. Trains from Czestochowa and Tomaszow Mazowiecki run from Lodz Widzew to Zgierz on the freight avoiding line (avoiding Lodz Kaliska). 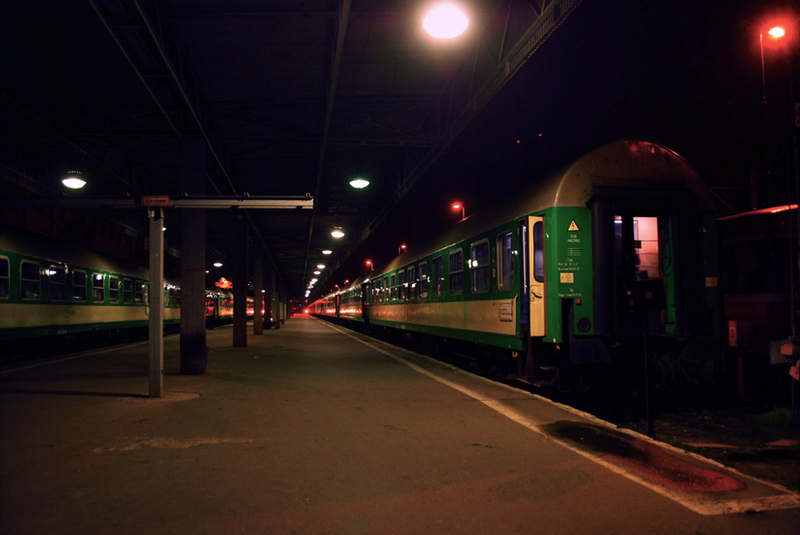 Trains will from Lodz Kaliska to Warsaw run via Lodz Chojny and Lodz Widzew on weekday mornings; trains from Warsaw to Lodz Kaliska run via Lodz Widzew and Lodz Chojny on weekday evenings. 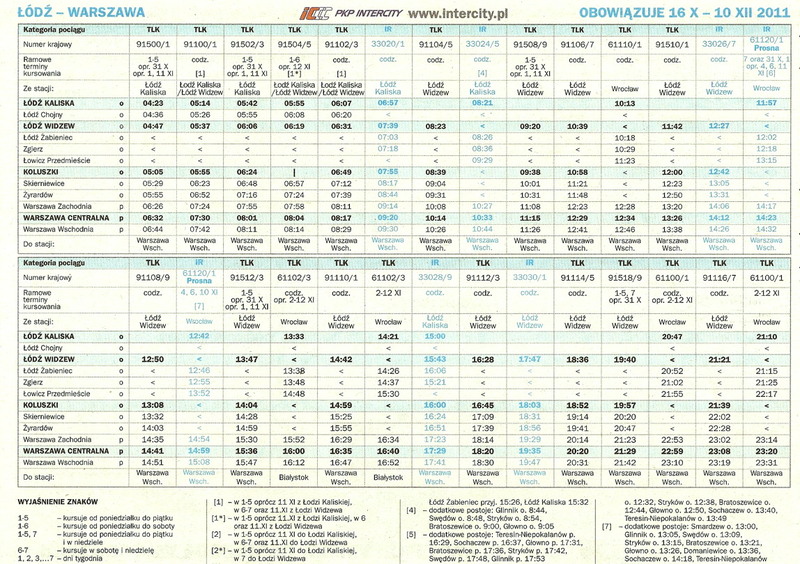 In addition there there are some other connections available from Lodz Kaliska to Warsaw (some direct services and others by changing trains at Kutno, Lowicz Glowny or Lodz Widzew). While somewhat confusing for local residents, the new arrangements are a route gricers paradise. We found at least one train that leaves Lodz Kaliska, calls at Lodz Zabieniec and Zgierz, and the changes direction at Zgierz to run down the freight avoiding line to Lodz Widzew and then follows the usual route to Warsaw. Still from the closing sequence of La Strategia del Ragno. Well, well, our new fast bowler is certainly proving rather tiresome to our film competitors. Our last film was Bernardo Bertolucci’s La Strategia del Rango (The Spider’s Strategy) which was released in 1970. It is a brilliant essay about truth and spin. A young academic returns to the town where his father (a local hero) was shot by the fascists during WWII. But like the escaped prisoner from Plato’s cave he discovers that nothing is quite as it seems. Nobody managed to score, so Dyspozytor moves forward by one point and the score now stands: Gavin Whitelaw is in first place with 4 points; Mike Winslow and Dyspozytor are joint second with 3 points each; Alex Fitch is third with 1 point. Oh and before anybody complains, La Strategia del Rango is listed in Steven Jay’s 1,001 Movies You Must See Before You Die and there are a couple of short clips on YouTube. 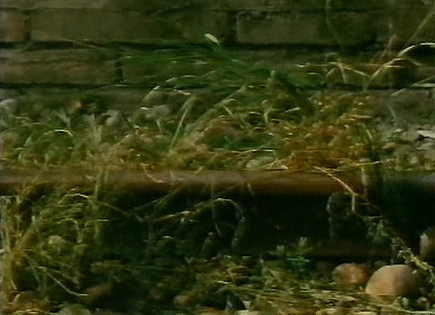 Cropped still from the final mystery film. Today’s mystery film should be easy. As it is our last question, here is a small clue. The screenplay of one of our earlier films was written by the same person as the screenplay of today’s film. Good luck! 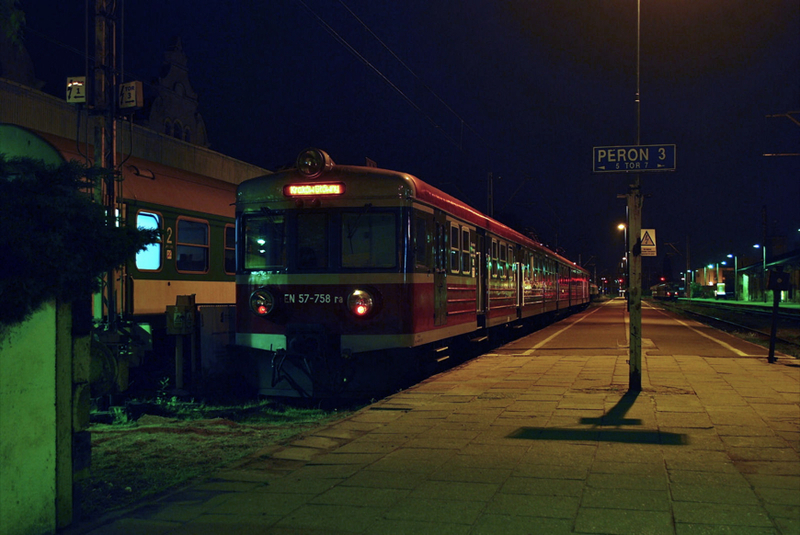 John Schøler Nielsen from Denmark has sent us these night photos of Lodz Fabryczna. They were taken on 20.5.2011. Prior to 1868 trains ran further to the West to a station situated where the LDK centre now stands. Photo John Schøler Nielsen. A loco-hauled TLK train bound for Warsaw has just departed. Photo John Schøler Nielsen. Two rakes of TLK compartment stock await the morning. Photo John Schøler Nielsen. An PR EN57 EMU has just arrived on track 5 platform 3. Photo John Schøler Nielsen. The Dutch style gables of the main building are visible above the awning. Photo John Schøler Nielsen. 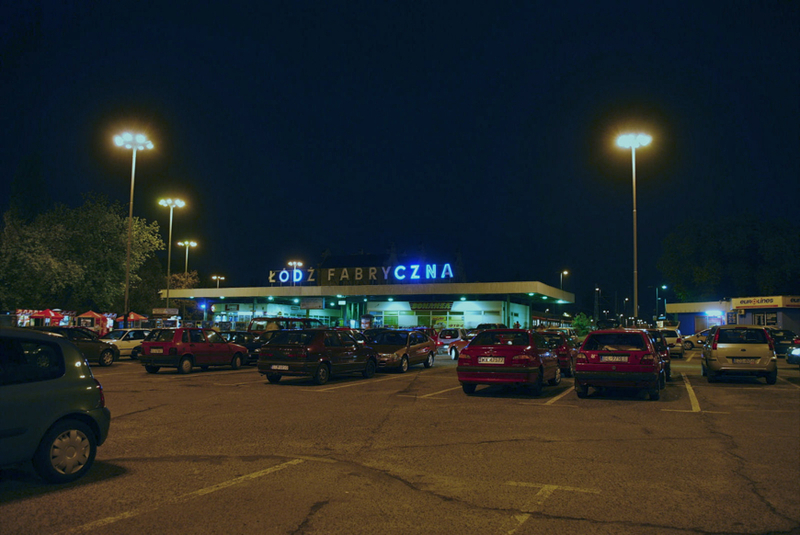 Lodz Fabryczna station on its last day of operation, 15.10.2011. Photo BTWT. the existing station building is an eyesore which should be demolished. 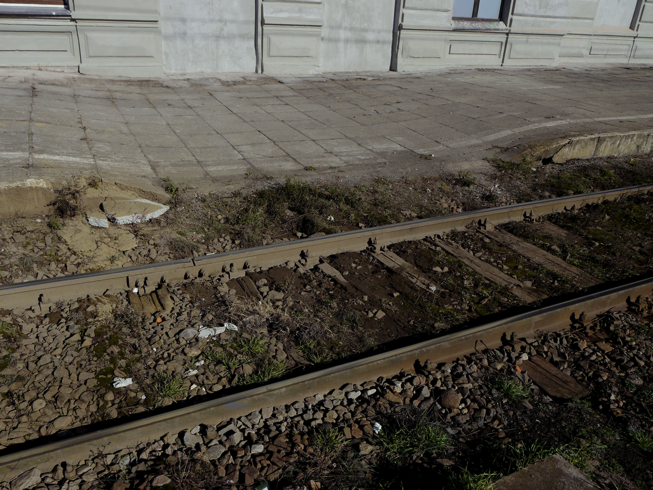 The local and national press have loudly trumpeted the claims of Infrastructure Minister, Cezary Grabarczyk, and Lodz Mayor, Hanna Zdanowska, that the development project will bring benefits to rail passengers and the city of Lodz. BTWT is not so sure. the existing station is an architectural gem, which was carefully restored and extended by PKP after Poland regained its independence; future generations will not understand why today’s city authorities demolished so much of Lodz’s industrial heritage. If our doubts prove to be right, then the Lodz Fabryczna relocation will prove to be yet another expensive ‘vanity’ project. Such exercises in megalomania were commonplace during Poland’s communist past. We all supposed, when the country wholeheartedly embraced free market economics, that their day had passed. Lodz Fabryczna last day. YouTube video by yamarotto. On the last day, the station was busy and its car park full until the last train had run. It seemed that everyone in the city who had a camera came to pay their respects to the old station. 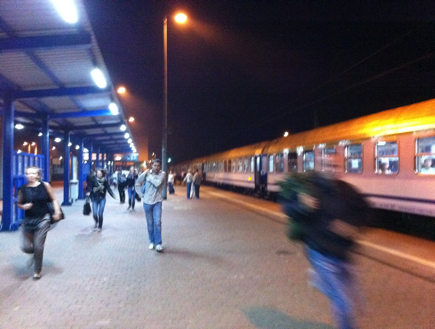 The last train out of Lodz Fabryczna was the 22:40 PR Regio train to Koluszki. There was a carnival atmosphere with champagne corks popping and TV cameras rolling. The train was packed, many railway enthusiasts travelled out as far as Lodz Widzew and then returned on the last train in – the 23:10 TLK arrival (21:22 ex W-wa Centralna). Three rakes of TLK carriages remained in the station after midnight, presumably these ran as ’empty stock’ working to Lodz Widzew on Sunday morning at which stop they magically became passenger trains? BTWT – 10,000 million zloty down the drain? Ol49-111 2-6-0 Gauge 1 live steam. Video by Gauge One Video. Anyone fancy their own steam locomotive? No joke, we are being serious. An Aster “Kreigslok” would set you back £3,850 in kit form, or £4,500 completely made up. A Prussian P8 kit is good value at £3,000, or you can buy the locomotive assembled for £4,000. Alternatively we can offer 4 shares in a Tkp 0-8-0T at £2,500. This is a full-size locomotive, not a model. It is substantially complete, with a good boiler and motion. It needs the usual stripping down. cleaning and painting, and boiler and air cylinder certification. There is a verbal agreement in place for the loco to operate hauling freight trains on a local authority-owned branch line. 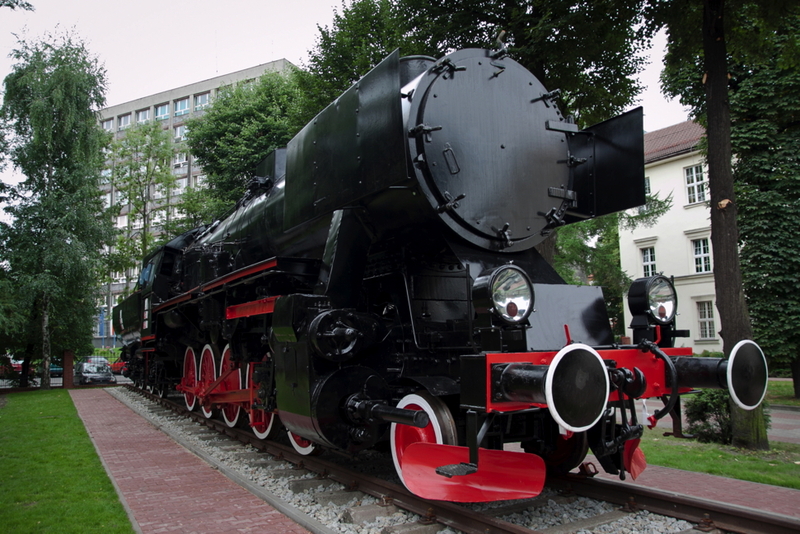 The owner of the locomotive currently resides in England, but hopes to relocate to Poland in due course. 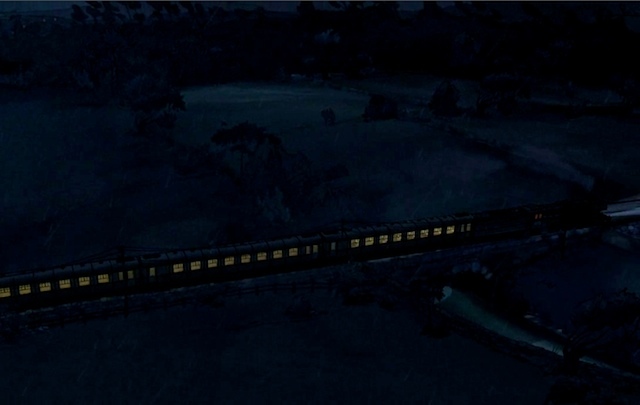 He would like to recruit a consortium of like-minded folk to work with him to restore the locomotive to working order. The original Ol49-111 kit at Leszno. Photo BTWT. Ty23-299. A clip from Wezel by K. Karabasz. The new fast bowler posed difficulties for our BTWT batsmen, none of whom managed to score during the last over. Gavin Whitelaw and Mark Judd both made brave attempts to play the ball, but – as no runs were scored – the point goes to Dyspozytor. 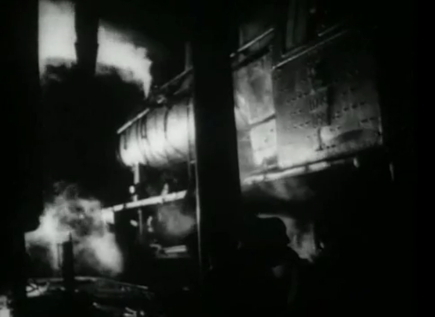 The locomotive shown in our previous clip also caused a little puzzlement. It is Ty23-299, a pre-WWII 2-10-0. The Ty23’s were the first Polish-designed heavy freight locomotives built for newly independent Poland. In 1923, Poland’s steam locomotive construction facilities were still being created, so the designer of the Ty23, Waclaw Lopuszynski, completed the detailed design work on the engine at the Schwartzkopff works in Berlin (BMAG). Schwartzkopff built the first 15 of the class (Ty23-1 to Ty23-15) and probably thought that they were home and dry to get the order to build the remaining locomotives of the first batch, which were needed urgently. In the event, PKP went out to tender and the order was won by three Belgian companies. The builders of the next 60 engines were as follows: Cockerill, 26 engines, Ty23-16 – 41; St. Leonard, 19 engines, Ty23-42 – 60; and Franco-Belge, 15 engines, Ty23-61 – 75. The rest of the class were built in Poland: 164 engines by HCP, the H. Ciegielski works in Poznan, (1926 – 1932); 266 engines by WSABP, the Warsaw Steam Locomotive Construction Company (1927 – 1934); and 106 engines by Fablok, the First Locomotive Works in Crzanow (1929 – 1931). Altogether 612 members of the class were built and they continued to be the basic Polish heavy freight locomotive fleet until 1937 when construction commenced of a more powerful 2-10-0, the Ty37. WWII dispersed the fleet among Germany and the Soviet Union. 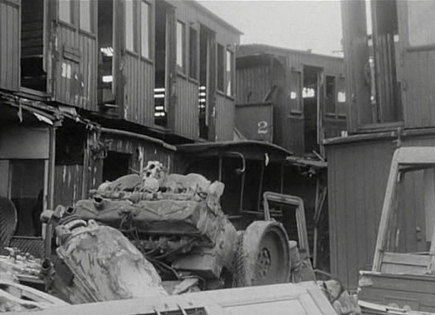 After the war, PKP was able to recover 312 locomotives. 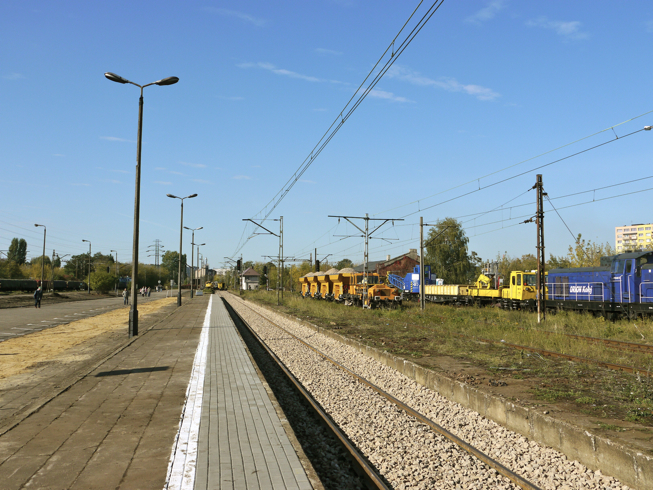 Freight Yard at Tarnowskie Gory. Satellite photo Google Maps. Three Ty23 locomotives survive ‘in preservation’, none in working order: Ty23-104 (HCP) in Chabowka; Ty23-145 (WSABP) in Jaworzyna Slask; and Ty23-273 (WSABP), rebuilt as a broad gauge locomotive, in Karsnice. Wezel (Junction) – a short documentary film about the freight yard at Tarnowskie Gory – gives a rare insight into the inner workings of PKP in 1961. Each day the yard made up 200 freight trains, consisting of 7,500 goods wagons and carrying some 180,000 tonnes. Remarkably the freight yard continues in operation to this day. 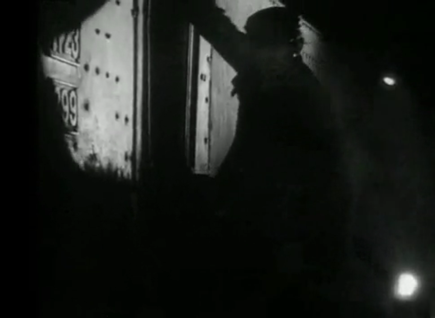 Another metro still, but from which film? 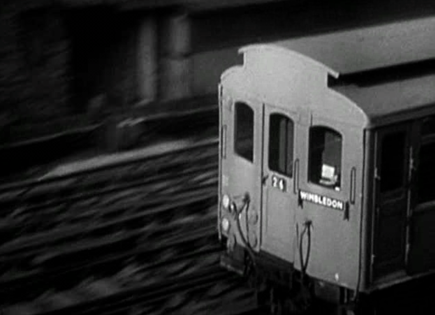 Today’s still comes from a clip which takes a lingering look at an underground train. Who will be the first to identify the film? Steam engine and green coaches. Photo TPWP. Podroznik draws our attention to a petition on the website of Towarzystwo Przyjaciol Wolsztynskiej Parowozowni (The Friends of Wolsztyn Steam Shed) appealing for signatures on a petition requesting that the passenger coaches, on trains hauled by steam locomotives based at Wolsztyn, be repainted in the old PKP livery of dark olive green. BTWT supports the idea of the petition on three counts: first of all, the olive green livery is attractive and historically correct for steam’s swansong in Poland; secondly, it is important to remind the powers-that-be that the regular passenger turns serviced by Wolsztyn engines are of enormous interest all round the world; and thirdly, we applaud the idea of Polish railway enthusiasts actively ‘lobbying’ to promote the railways and trains that they cherish. 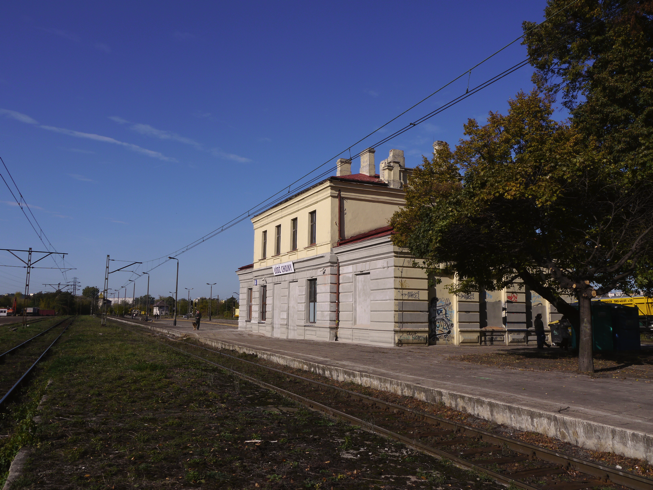 Lobbying and engagement with local communities are two fundamental tools that a small group of us have been trying to teach Polish railway societies – with mixed success – over the last 8 years! No wonder the steam turns regularly run into difficulty. It is a matter of profound regret that, following numerous ‘reorganisations’, the whole of the Polish railway system appears to be run on similar lines. The petition can be downloaded as a pdf file by clicking on the link below. Curiously the organisers do not actually indicate who they intend to send the petition to. Will they send it to: The Chief Executive of Wielkopolska province? The Chief Executive of Przewozy Regionalne? The Chief Executive of Koleje Wielkopolskie? The Chief Executive of PKP Cargo? The Minister for Rail? Local and national press and TV? All of these? It would be nice to know. The front page of the Apple website on 6 October 2011. Apple, after launching the Apple Mac in 1984, became the first company to successfully exploit a computer whose screen resembled a desktop – a graphical user interface. The GUI had been developed at Xerox Parc, but Xerox’s own attempt to market a computer with a such an interface (the Xerox Star) was an expensive flop and Apple’s first attempt with the Apple Lisa was to fare little better. In 1985, Jobs was removed from his position as head of Apple’s Macintosh division by John Scully, whom Jobs had himself recruited to the post of Apple CEO. Jobs resigned from Apple, sold all but one share of the company he had founded, and went on to form NeXT Computer. His hands-on approach to the design of the Next Cube was typical of Jobs’s strong focus on the aesthetic, but also meant that the first NeXT workstation was not to reach the market until 1990. NeXT computers were a technologist’s dream, but for its first 8 years NeXT was a business failure. The first WWW server was a NeXT Cube and the first Web browser was written on a NeXT computer. By 1993, NeXT had only sold 50,000 machines and the company switched its efforts to developing and marketing the NeXTSTEP operating system, a strategy which enabled the company to become profitable. In 1996, Apple – which had been haemorrhaging cash – bought NeXT for $429 million, acquiring Jobs in the process. Jobs became CEO of Apple refocussed the company on developing the Macintosh which he reinforced with a much improved operating system, OS X 10.1, based on NeXTSTEP. During Jobs’s long exile from Apple he became CEO of Pixar which he had bought (as The Graphics Group) from Lucasfilm. He intended that the company operate as a high-end graphics workstation developer. After years of unprofitability, Pixar contracted with Disney to produce a number of computer-animated feature films, which Disney would co-finance and distribute. The first film produced by the partnership, Toy Story, brought fame and financial success to the company when it was released in 1995. Over the next 15 years more box-office hits followed: A Bug’s Life (1998); Toy Story 2 (1999); Monsters, Inc. (2001); Finding Nemo (2003); The Incredibles (2004); Cars (2006); Ratatouille (2007); WALL-E (2008); Up (2009); and Toy Story 3. In 2006, Disney agreed to purchase Pixar in a stock swap and Jobs became The Walt Disney Company’s largest single shareholder with some 7% of the company’s stock. Since returning to Apple, Jobs has headed the company as it launched one hit consumer product after another: the iPod portable media player (2001) – cumulative sales by 2008 – 220 million; the iPhone (2007) ‘smart phone’ – 130 million sold to date; and the iPad tablet computer (2010) – 30 million sold to date. The iPod, iPhone and iPad all run iOS, a mobile version of the Mac operating system. In August 2011, Jobs stepped downs chief executive of Apple. He had been battling an unusual form of pancreatic cancer, and had received a liver transplant in 2009. Behind The Water Tower is focussed on railways, not information technology. However the fact that day after day we can post stories with no interruption from hardware malfunctions, operating system crashes or virus attacks is in no small way due to the absolutely rock solid Apple Mac and Apple iPhone technology platforms which we employ and which are Steve Job’s enduring legacy. The Smigiel Railway hangs on to its future existence by a slender thread, so we thought it timely to remind BTWT readers what this railway was like in the 1960s: 13 trains each way with two two-coach train sets in operation. This delightful film was made by Lodz animation studio Semafor and uploaded onto YouTube by YamanKos. 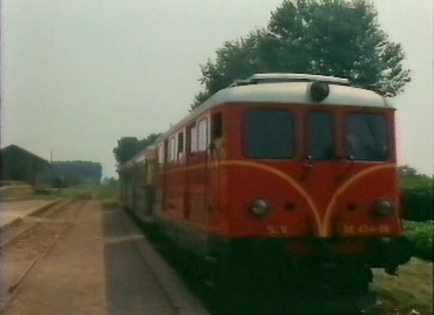 Some 60 years later Smigiel Yard still had a track layout befitting the HQ of a major narrow gauge railway and the line between Smigiel and Stare Bojanowo still enjoyed a regular passenger service as seen on this video by bosz112. To see the present state of the line please see our recent post. 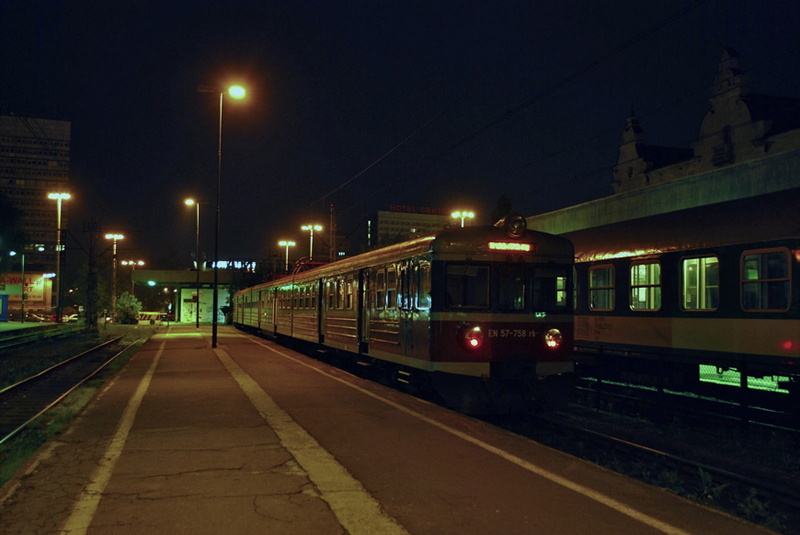 Night scene at Koluszki at 19:57 on 3 October 2011. Photo BTWT. What happens when the 19:45 to Warsaw (running some 11 minutes late) arrives just before the 20:00 to Warsaw (running some 4 minutes early)? The 19:45 ex Wroclaw Glowny has 5 coaches and is so full that no more passengers can get in. 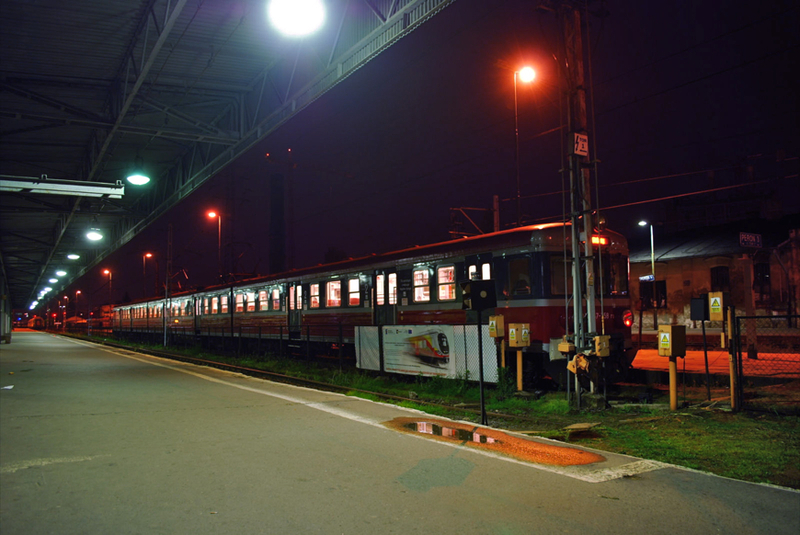 The 20:00 – running from Infrastructure Minister, Cezary Grabarczyk’s, home town of Lodz – has 12 coaches which are mostly empty. If you want a seat, run! Sadly our intrepid reporter was just a tad too slow with his iPhone to record the peak of the mad scamble that ensued at Koluszki when the standing passengers in the 19:45 realised that there were empty seats in the 20:00! This shot of a few last-minute stragglers is all he recorded. 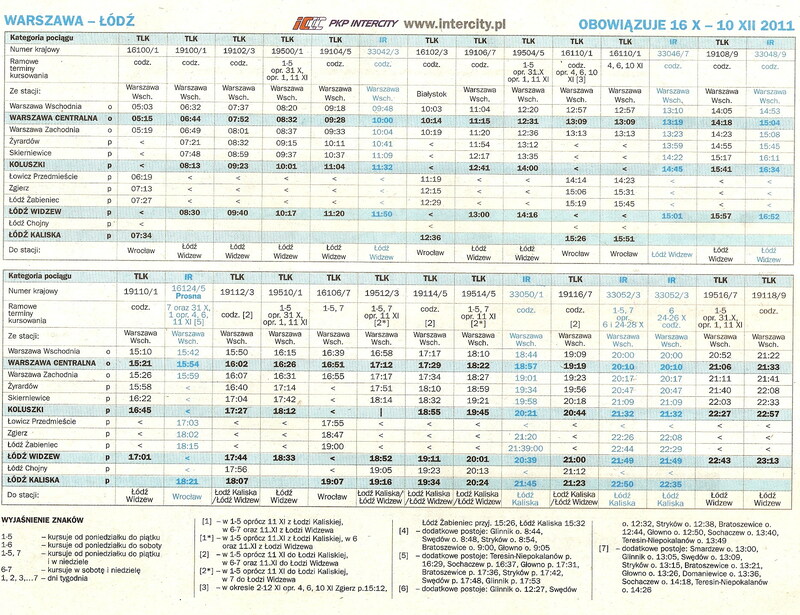 To add confusion to the chaos, PKP’s Internet timetable, does not show a 19:45 departure from Koluszki that runs from Wroclaw Glowny to Warszawa Wschodnia, though it does show a 19:41 running between the same stations. We thought Andrzej Massel, Poland’s rail minister, now 9 months in post, had promised to put an end to this sort of thing.